Last November Quilt in a Day sent us some great rulers for giveaways and a money saving online code. Sorry if you didn't take advantage of the great code, but it is expired now. I did a post here showing everyone how fantastic the rulers are. They also sent A Quilt in a Day kit for me to assemble and write a review on. Here we are several months later and I am finally done. Not because the kit wasn't amazingly easy, but because life happened all at once in the following months after I received it. My apologies go out to the Quilt in a Day company for my slowness! The kit was for a wall hanging sized project. I do not hang quilted projects up so I made a table runner. 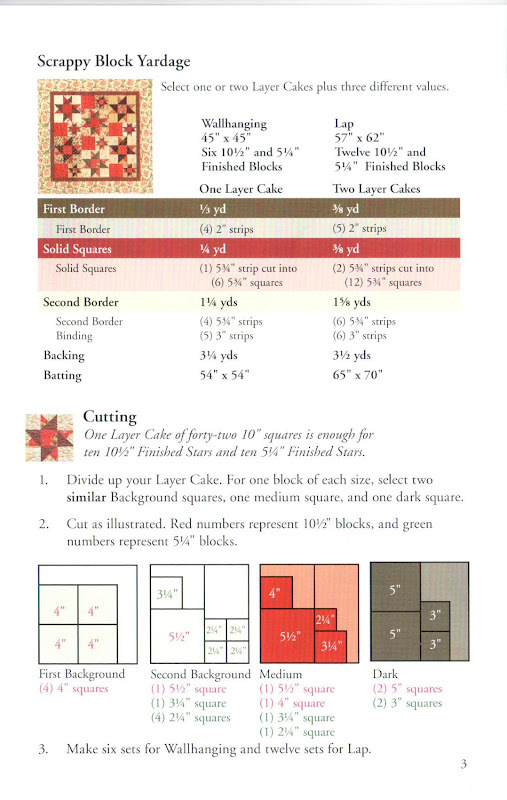 If you want to make a lap quilt simply purchase two of the same kits. The fabric is from the Moda Collection for a Cause "Faith" by Howard Marcus and is beautiful. If you don't know about this fabric line you need to check it out. Proceeds benefit different charities depending on which collection you purchase. In the kit was a charm pack, extra precut squares for part of the project, strips for two separate borders, binding strips and the instructions; it all came in a reusable clear plastic zip up bag. 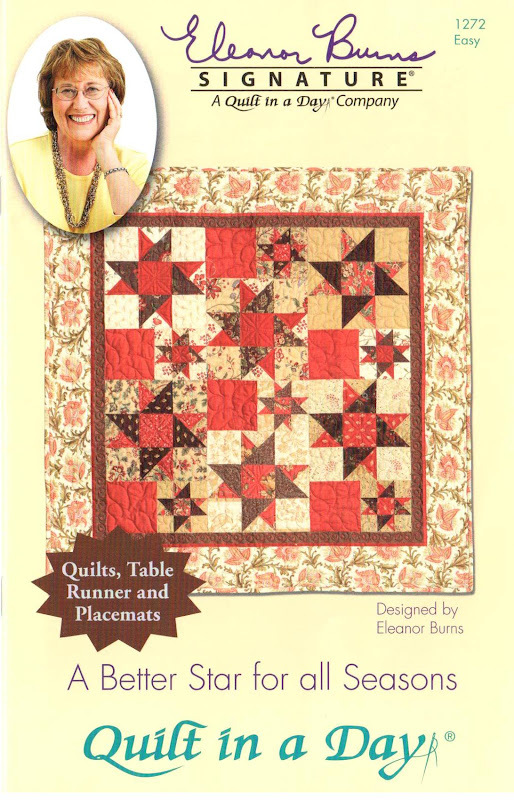 There are instructions for a wall hanging, lap quilt, table runner or set of six place mats. It was hard for me to choose between the table runner and place mats! My table runner is slightly different than the one in the instructions. Cutting is my least favorite part of quilting. I still feel like an amateur and hate to waste a lot of fabric while cutting. 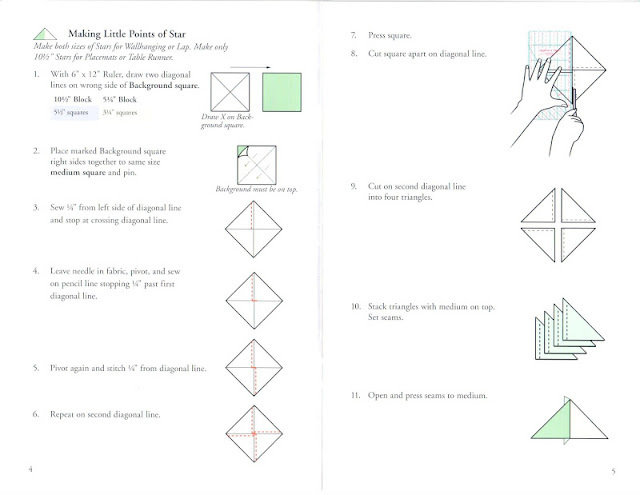 The instructions had pictures of how to cut each square! Yes, I'm like a man and pictures are far easier for me than words. The hardest part of cutting was trying to color coordinate my blocks. There are a few changes I wish I would have made, but I'm still very happy with the outcome. I was pleased that the borders and binding were precut. The instructions taught me a new way to make the small points on stars. 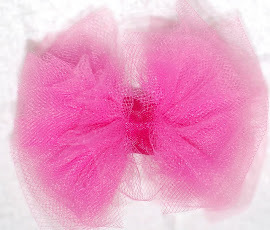 The first one I sewed was a little confusing, I've been doing it a totally different way, but by the third I was in love. Very easy and fast to make four at once! I was happy to use my favorite ruler when squaring the points up. 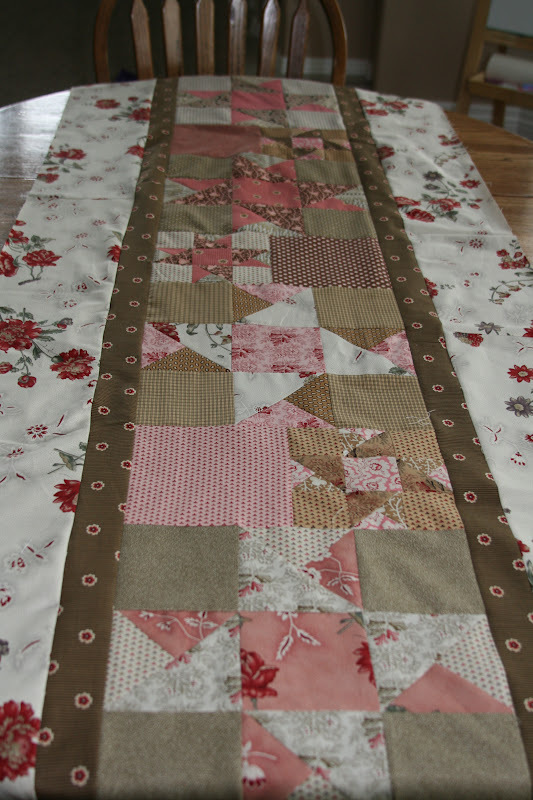 I am in love with the table runner and cannot wait to take it to be quilted. The entire thing only took a few hours. I worked on it a little bit every night for about a week. I believe anyone can make this quilt. It has an easy rating on the instructions and it truly was easy. If you have any amount of quilting experience you really could have A Quilt in a Day! You can buy Quilt in a Day products online, where they also offer free patterns, or in most quilting stores and I highly recommend you try them out; you won't regret it! 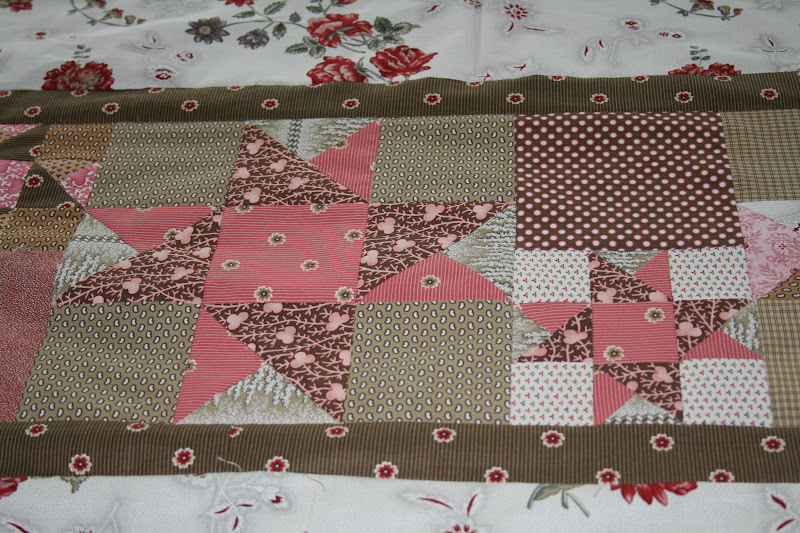 To Quilt in a Day: Thank you so much for the great products that you put out. You truly are my favorite quilting company and your products have helped make me a better quilter.